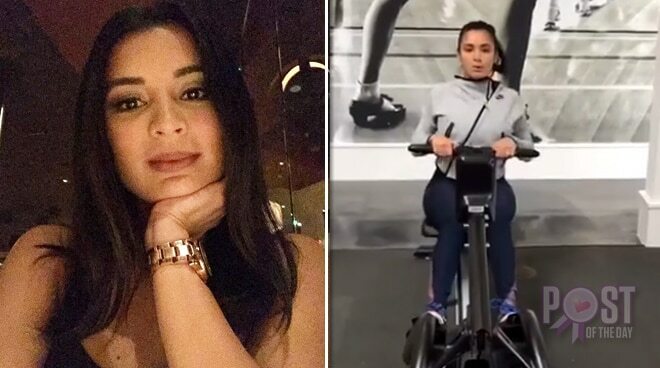 Michelle Madrigal gave birth to a beautiful baby girl just last October 21 but she’s already back in the gym. The former actress explained that she feels better if she exercises and she’s not in a rush to remove her post-baby weight. “Before I hear y'alls unsolicited advice... yes I am cleared by my OB for those who are wondering. I have been resting on my off days and don't usually force myself if I'm dead tired or feeling sick,” she wrote. “Working out isn't just to look good, I feel great after I sweat my a** off at the gym. I am still at 130 lbs. feeling soft all over my waist... I still look 2 months preggo but I am a work in progress. I am in no rush to lose it right away because it took 9months to gain all these baby fats! I am taking it one day at a time,” she added. While her followers had different opinions about exercising after giving birth, Michells said she appreciated those who understand that working out is part of her lifestyle.